On a flight from New York to visit my parents in Chicago, I sat beside my husband, his hand on top of mine. We gazed into each other’s eyes and laughed about how much we were going to miss our cats. A flight attendant came over and offered us a free bottle of champagne. “Enjoy your honeymoon,” she said. We had been married for 13 years. Five years later we are more in love than ever. Our secret: We don’t have children…. “Wait. Don’t you want to raise the kids?” I asked. That was what we had originally planned. What were we going to do with kids neither of us wanted to raise, but both of us wanted raised in a particular way? “Maybe we shouldn’t have children at all,” I said. I felt a weight lifting. Aviv and I had been married for six years when I found myself searching the web for “people without children.” I discovered childfree websites — other people like me existed! They, too, understood that children were a life-changing responsibility, that having them should be a careful decision and shouldn’t just happen. They, too, lacked the drive to make and raise babies, and were they ever happy. They described enticing benefits, one of which particularly stood out for me: having their beloved to themselves and cultivating a devoted, satisfying relationship. And now, a response to Piper by JewishMOM of 4, Dina Bacharach. I read your article and my heart cried for your loss – your never knowing the joy, the happiness, the excitement and intense feelings of having children. And for never knowing the never-ending busyness, the noise, and the fun of children. I had three miscarriages, and never thought I’d be able to have children, then G-d blessed me with four wonderful children. I’ve never been so busy in my life and never felt so blessed. I’ll be honest, would I love the honeymoon moments again – sure for a bit but not much more than that, I enjoy my life with my whole family. Breathers are good, but only if I’m coming up for air to what I have. Ten years later and four children, I am still gazing into my husband’s eyes with love and wonder. And since those moments don’t happen every day, they are so precious and much cherished. And our love has grown since we’ve had children, we share our most beautiful gifts and nachas and struggles together as a unit. Ask a parent, who’s lost a child during their youth – they’ve lost their world (even if they have other children.) I am sorry, that you not allowing yourself the chance to tap into that potential. You mentioned how much you were going to miss your cats while you went on a trip. I don’t know how to describe to you how deeply you would miss your children if you left them for a little vacation. Because children physically and spiritually come from you. I miss my children even while they are at school. And I see your pain of a lost dream. Because you clearly wrote that you wanted to be a mom. Piper, I was hurt by your line “Life would be better without kids.” How could you know? Life could be different, yes; quieter, perhaps; less direct responsibilities for other peoples’ lives, okay. But better? How could you say that without every experiencing having your own children. And it is just not true. Your comment is very hurtful and degrading to all of us parents and our marriages. Please allow me to share a children’s book called, A Little Girl Named Miriam by Dina Rosenfeld is a beautifully illustrated biblical story of Miriam, the sister of Moses, and her role in exile and later the redemption of the Jewish people from Egypt. This book shows young children, how a little girl was brave enough to speak up to the mighty, dictator, Pharoah and courageously warns him that his plan to kill all Jewish boys just won’t work. The book continues with Amram, Moses father, hearing Pharoah’s decree and advising the Jewish husbands to abstain from marital relations in order to ensure that no Jewish baby boys are born at all. Thereby duping Pharoah’s plan! If there are no babies born than there will be no babies for Paroah to kill. In a religion where respecting ones parents is one of the ten commandments, it is amazing that this young child Miriam, once again raises her little finger, commanding respect and giving rebuke to her very own father. Recognizing the truth to little, wise Miriam’s words, Amram takes back his advice and the Jewish people continue to have children nonetheless. Soon after, Moses, the redeemer from Egyptain exile, is born to Amram and Yocheved. Keeping this timeless biblical story in mind, I think the basis of the above quote can be understood in another way. So many Jewish children, lives, and families were killed and ended by Hitler, destroying generation upon generations of Jewish continuity. But if we don’t have children at all, we are even worse than Hitler. We are not even giving the beautiful waiting souls a chance to lead a meaningful Jewish life. And even more so, if we don’t give our children a chance to know what being Jewish means and giving them a true, all encompassing Jewish education, we are destroying Judaism at its core. Yes, you and your husband will have to work together to figure how to raise your children in a way that they can connect to our rich Jewish heritage that builds such a truly wonderful life. Piper, I don’t mean to hurt you at all and I apologize if I touched a raw nerve. I was offended by your article. I know the pain of not having children and I also know the blessing and joy of having children. Maybe, one day, Piper, our kids can have a play date? I think we would connect well and we’ll have so much fun! Whoa, horrible article by Piper! And to put it on this website??? Oooh is she going to suffer after this one. It just hurts to even read! It’s like she’s trying to placate her guilt, but writing an article about her decision. How could such an empty life really be fulfilling? I don’t believe her for one moment that she (and he) never regret their decision. That’s impossible! I don’t think it should be taken as an insult that she has made the decision to be child free and she is spending a lot of time and energy justifying that decision. The entire JewishMOM website serves as our validation that we strive to be happy in our motherhood, and she is seeking similar validation for her childless life. If we are content in our decision and existence, then we should accept that she is happy in hers. She dislikes when people call her selfish for not having children. She says it would be worse if she were selfish and had children and then still was selfish despite the needs of her child. Unknowingly, she hit on the main reason why Judaism encourages procreation. Beyond proliferation of klal Yisrael, our spiritual potential can only be actualized through parenthood. We get closest to Hashem through emulating Him. This emulation comes through creating life and then selflessly giving to another. G-d gives and gives and gives. As a parent, giving becomes our existence. Yes, it is important to take care of ourselves so that we are happy, fulfilled individuals, for the goal of being in an emotional state to give happily to our families. So if she claims that she is selfish and that’s why she doesn’t want to have children, then beyond feeling sorry for her that she will never get the joy of holding a beautiful child whom she cares for more than anything else in the world, she also will never have the opportunity to achieve her spiritual potential in this world. Unknowingly, she hit on the main reason why Judaism encourages procreation. Beyond proliferation of klal Yisrael, our spiritual potential can only be actualized through parenthood. We get closest to Hashem through emulating Him. This emulation comes through creating life and then selflessly giving to another. G-d gives and gives and gives. As a parent, giving becomes our existence. Yes, it is important to take care of ourselves so that we are happy, fulfilled individuals, for the goal of being in an emotional state to give happily to our families. 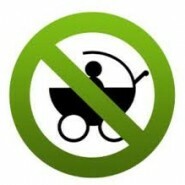 It is incorrect to say that the “only” way we become actualized is by becoming parents. HaShem holds the keys to 3 things – children, parnasa and rain. We become actualized by doing our best with whatever HaShem gives us. I was just getting ready to add how Rebbetzin Heller discussed something similar on Naaleh.com (in her Questions & Answers for Today’s Women), in response to a first-time mom’s question that she didn’t feel ready for more kids. R’Heller stressed that our very purpose on this earth is to be givers, and of course, a parent is the ultimate giver. Thank you Michelle for expressing this point beautifully! I don’t know if she ever will regret her decision. this is a very selfish generation. Look around and you’ll see how it compares with the Greeks’. Completely hedonistic, pleasure seeking. If it makes you feel good, do it. Don’t waste your life thinking about consequences to your actions. Hopefully, it is because, as they say, Moshiach’s time is near (or here depending on whom you speak with) that the polarity of the world is so apparent. The only thing I can say is that at least Ms. Hoffman isn’t condemning child-ful families. She may choose to be childless/free. That is between her and her Higher Power. As long as that’s where she keeps it. The minute she complains about the unfairness of special perks and benefits of families, she’s lost my “defense” as it were. I hope their parents – the wife and husband – have other children from whom they can have the nachas of grandchildren. And may we all have only good health and revealed good and while i’m at it, cooperative nice kiddos. I don’t mean to sound vindictive. I reread this and it does sound mean. As long as what you do doesn’t effect my “world” I won’t condemn you as an individual. But this is what I see happening as to the world at large, and not just “out there” but right where we live, too. I think she is still talking herself into finding happiness with her decision. It is definitely easier at this point. Somehow, it seems short sighted. People have children for selfish reasons as well – to carry on a family name, fulfill dreams they didn’t accomplish, leave a legacy behind, even to take care of them in their old age! Having children that grow up to be people you can be proud of is incomparable to any career goals one meets or achieves. Having read her entire article, the demands of practicing Judaism are also beyond her comfort zone. Obviously Hashem is agreeing with her decision, because He hasn’t messed up her plans for contraception! I agree with the previous comment that raising children is demanding and selfless and we grow in many ways from this experience. Some of us would like to be like Peter Pan and never grow up! The reality of having a child for any reason, puts one on a different journey and we are forced to grow up ourselves if we want to be good parents. Obviously, those women who can’t have children can merit a worthwhile life, but I am sure most of them would be thrilled to have kids. We have to live the life Hashem gives us, and bring Hashem’s light into the world the best way we can. I have an aunt and uncle who were never blessed with kids and now as they are aging they like to be connected to the nieces and nephews because life gets lonelier as our parents and friends pass away. We can not judge and we hope that her decision doesn’t come back to haunt her down the road. Piper, if you are reading this, I’d like to thank you for helping me appreciate my children so much more. I read in her blog that she lives in Seattle (where I live) and I thought, “Oh my gosh, what if I bumped into her and in our conversation, I complained about my children??? What if I HELPED her come to this decision? !” I would never forgive myself if I inadvertently caused someone to come to the decision not to have children. I don’t want anyone to EVER think that I regret having children, no matter how much I complain. And now I will try not to complain as much and really remember and to cherish the children that I have. Thank you for that lesson. Hey, another Seattle reader here! I can honestly say that my daughter has made me a much better person. I’m happier, more fulfilled, more patient, kind, understanding, and yes, a lot less selfish. This offending article is the result of the “Entitled generation” even the spouse has to be entirelyto herself!!! No sharing!!! The self centeredness at its maximum! O dear jewish moms or even moms, let us pray for all the ones who cannot have children!!! I am finding it hard to understand who others are offended by the article. I agree that the author still seems unsettled withe her choices but, in my opinion, maybe people who chose the opposite are also a bit unsettled. Hashem gave each of us a unique, individual mission here in this lifetime. I know without a shadow of a doubt (and I say this exhausted, most likely suffering from PPD with a 7 month 2 1/2 year old, struggling financially as a kollel wife, with no family in Israel to help and as a woman who got married for the first time at 37 and therefore maybe will not choose to have as many children as i might have at 30) that I was put here to bring these neshamot into the world and give them the roots and wings to bezH complete their unique missions. I do believe, however, that many children are in the world whose parents did not fiercely believe that their life’s mission is to raise good souls, and they are suffering on many levels. i respect another’s decision to not parent if they can’t give it their ‘all’. and i dislike that people feel the need to judge another’s choices. that’s between the spouses and Hashem. Yes,usually that is the case, to respect People’s decisions. However, there are certain decisions that run against the core of Yiddishkeit. If they understood what it meant to raise the next generation of Jews – how important that job is, she would not be making this decision. This just rubs all us Jewish mothers the wrong way and she is publicly announcing how she is right too. We as Jewish Mothers have to stand up and tell her that and not just ignore this. Thank you, as usual, for the articles you publish, Chana Jenny. It’s eye-opening that we live in an increasingly self-centered generation, as the others have already mentioned, and as the statistics show. If one’s purpose in life is the pursuit of pleasure, then having children stands in the way. No point in trying to convince her of the joy, Nachat, etc. Let’s face it– raising children is hard work. However, if one’s purpose in life is to become like the Divine and to improve our Middos, then having children is the ultimate way to do it. One needs to really introspect and see what they want their life to be about. And, IMHO, I believe that we, as mothers, should take note of this kind of mentality (and the powerful emotions we feel towards it) and use it to teach our children differently. If our generation is already so self-centered, what would be with our children’s generation?! I’m interested to hear other ideas you might have. I feel this is a battle we need to fight together. And on another note, there is a very real concern out there that our marriages will suffer if we have children. We have to make our husbands our priorities, despite the challenges of child-raising. Yes, it’s more difficult but it is possible. Again, all in my humble opinion. Amazing how much this woman is helping us moms grow, isn’t it?! I don’t know if she wanted only “pleasure” or “things”. She does do a lot of advocating for Social Justice. I just think it’s sad that she felt she had to choose either career or motherhood. I also wonder how she will feel in twenty years. I once saw a bumper sticker that read “MEN WHO CHANGE DIAPERS CHANGE THE WORLD” Unfortunately, today the whole world has a messed up view about what family is and the root of the problem is FEMINISM. This woman thinks she’ll achieve some sort of greater validation from the world, but she doesn’t realize that she’s chasing an empty dream, and at the and of the day, a woman is a woman and we won’t be men EVER. So she’s welcome to give up the intense joy and fulfillment of motherhood, but one day she’ll realize she’s losing on both ends. I hope she and her husband get to change their mind before it’s too late. than the old life I might miss. that my heart could ever embrace. Thank you for this beautiful poem… As a brand new first time mom I can so relate! Be fruitful and multiply is not a woman’s mitzva, but most women want children and, if they love their husbands as much as Piper claims she loves hers, they also want children for them. The one I really for sorry for in this story is Aviv. As the wisest of all men said, “The wisest of women-each one built her house, but a foolish one tears it down with her hands” (Proverbs 14:1). When Aviv married Piper, he was a Shabbat-observant Jew willing to raise his kids alone, because she didn’t want any. A few years into the marriage, he became the moon to his wife’s sun, reflecting her views in everything, relinquishing Shabbat and pru u’rvu. In Judaism, karet ve’ariri (excommunicated and childless) is a punishment worse than death. Such a shame Aviv sentenced himself to this punishment. My husband and I both work full-time outside of the home. We would both rather that I be at home during the day, but we’re thankful that I have a flexible job that allows me to not work the full 40-hour work week. Our son is in daycare 8 hours a day. But I wouldn’t say for one minute that we are not raising him. Piper’s article makes it sound as if when both parents work (even if they want to be working), then they are not raising their children. Children come home. At the end of the workday, the school day, the semester, children come home. Yes, I would love to have even more time with our son at home and in my care every day. But even though I don’t, he is still learning about life and the world with the values that we are teaching him, and the atmosphere that we create in the home, in his home, every day. Thank you Chana Jenny for this provocative topic. Here are my thoughts; probably a little like the others, but maybe different. When a woman marries a man and a man marries a woman, the woman teaches the man how to be a woman, and the man teaches the woman how to be a man. That is: they reveal qualities to each other that makes them each more compassionate of the other. Hashem has given us many possibilities for growth. Not knowing how to truly be a man or a woman can only be learned through an intimate marriage relationship. Next, come children. Marriage does not bring out all the possibilities Hashem has in mind. Children teach a mother how to be a nurturing mother and teaches a father how to be a nurturing father. That said, each potential we have within us becomes actuated and we become more whole. I know of a few woman who never married or never had an intimate relationship and several men who also never married nor had an intimate relationship. Although each are in their 60s, there is something very childish about them – more wining, more complaining, a bit more selfishness. There is a good reason why Hashem set up this system to allow the Neshuma to fully blossom. While marriage takes work and so does having children, the pleasures of a good marriage and a Jewish home make it all worth while. The whole is more fulfilling than the parts. I think this is what the childless couple did not consider. After reading the original letter by Piper and the response by Dina, I was deeply saddened. As I continued reading the ensuing comments by readers, I became even more distraught. At the core, I truly believe that one of the most important and beautiful mitzvot a Jewish woman can perform is to have children. That being said, I just as strongly believe that it is one of the most important virtues in Judaism to love your fellow Jew. To value his or her opinion and show respect as opposed to judging the validity of his or her view. I was deeply troubled by the tone of Dina’s response. I understand how Piper’s viewpoint rubbed against a core Jewish value. However, I do not think that this warrants an attack on Piper and a total invalidation of her thoughts and feelings. Dina, in a lot of ways, I agree with you. I do not have children yet, but becoming a mother is the most important goal in my life. I can imagine that part of your motivation in responding was to show other women how fulfilling and important having children can be. I applaud that goal. If I had written a response I would have started by recognizing Piper’s right to her own viewpoint. I would have admitted that it is not my place to judge my fellow Jew. Then I would have discussed why I think having children can be so fulfilling and such an important part of Judaism. Every Jew deserves my love and respect, no matter how much I feel that their perspective disagrees with my own. Both of my parents were Holocaust survivors. (The Ghetto, the concentration camps) My father was the only survivor in his family. He didn’t want to have children. I could understand his world view. My mother didn’t share it. I’m glad. Someone who is childless by choice can give reasons for their decision. I can’t condemn or judge but I can suggest that one day those reasons might not be valid anymore. I have been reading this article many times. What Piper writes actually gave me a lot of chizzuk at its time. Not because I believe that having children is not a good idea but because I was sure I couldn’t have them (due to a medical condition). Wherever I went in the Jewish world, it was always like “having children is the only way to actualise yourself, you’ll be selfish if you don’t have them”. So I was set out to never actualise myself apparently anyway. Reading about someone who was happy without kids was like a miracle, suddenly I was ok in where Hashem had put me. I just wish people saw that side of this “you have to have kids to be a good person” debate. Not everyone CAN have kids even if they really want to. Are they doomed to just never be good people? (And by the way not all parents are such amazing holy patient people!). Are they somehow worse as people? I would think so from a lot of these responses. Just remember you have very lucky if you have that choice. It’s not just because you are so righteous and better than others that you have kids, you are blessed too. There is a tremendous difference between someone who chooses not to have children and someone who is (for whatever reason) unable to have children. Hashem Yisborach maps out our lives, our choice is in how we deal with those circumstances. Piper has decided that she does not want to accept Hashem’s plan whatever it entails. A woman or for that matter,a man who cannot have children is not an incomplete person. They just have a different destiny. Think of all of the childless people who nurtured our nation. Sarah Shenirer, Nechama Leibowitz, the Satmar Rebbe, and many more.I remember when our Navi teacher taught us Yishayahu 56:5, about Hashem promising an everlasting legacy greater than children, all the more poignant because we knew that our teacher had no children of his own. Mina, thank you for posting that: in fact I’ve never heard that approach. I’ve just been told that it’s a good thing to feel bad because really you should have kids or been left out from invitations and conversations since I had nothing to contribute to another talk about kids. But who wants to live a life of feeling bad all the time? Piper’s model is a lot nicer: enjoying what you do have without kids. Just saying. Maybe as a community we need to look at that because there are still people who won’t be able to have kids and they too deserve to be part of the community, be invited, not be ignored and feel like they are actualising their potential (I am no longer one of them thankfully but I could be).